Is The Shroud of Turin A Forgery? One of the most holy relics of the Roman Catholic Church is the Shroud of Turin. One of the most famous objects in the world, this 14-foot 4-inch by 3-foot 7-inch cloth is supposedly the burial shroud of Jesus. Unfortunately, says organic chemist Luigi Garlaschelli from the University of Pavia in Italy, it’s also a forgery. 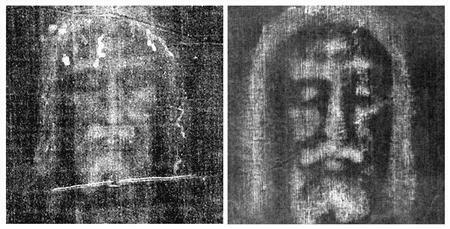 Using medieval materials, he was able to successfully reproduce the Shroud of Turin’s famous negative image of what is supposedly Jesus. After applying some artificial aging techniques, the result is pretty uncanny. Still, that won’t stop the believers from making the pilgrimage, and more power to them. If they want to continue traveling to holy places and look at the old holy relics, then I hope they enjoy themselves. Pilgrimages are big business in the church world, and none moreso than the Catholic Church with its litany of holy relics in every cathedral. I’m not religious, but I have to say that one of the most wonderful experiences I’ve ever had as a tourist was wandering through the Cathedral of Notre Dame in Paris, and seeing all the statues and the beautiful gold reliquaires therein. Pretty much every cathedral or former cathedral we went into was gorgeous and worth visiting, just from an architectural standpoint.